Listed below are some of our favorite chapter book series. Please comment on your favorites, and remember to leave your email address as a means of contact for the giveaway. 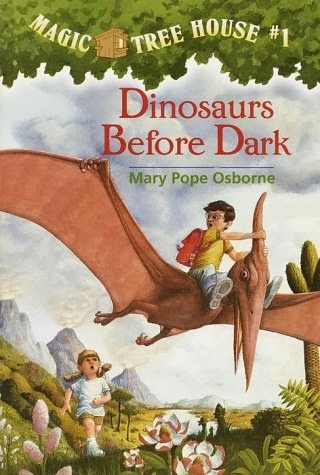 Mary Pope Osborne does an outstanding job of bringing history alive through her imaginative Magic Tree House books. They are written at about a second grade reading level, but older kids will still enjoy the stories, while younger kids will delight in having them read aloud. In each book Jack and Annie, the main characters, travel back in time to a specific place in history. They are able to witness first-hand many major historical events such as the sinking of the Titanic, George Washington crossing the Delaware, and the great San Francisco earthquake. Hank the Cowdog is simply hilarious. 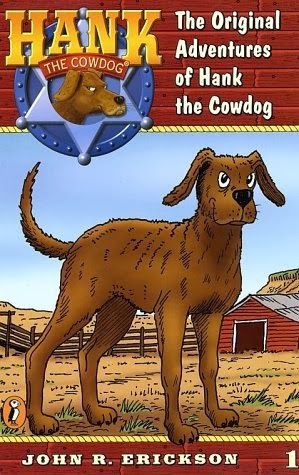 We often check out the Hank the Cowdog audio books from the library to listen to in the car. My husband normally does not enjoy audio books, but even he will crack up laughing at Hank's antics. I highly recommend listening to the audio books before actually reading the books, because John R. Erickson (the author and narrator) does such a fantastic job of impersonating Hank, as well as all the characters. Be warned, though, your children may pick up some slang from the book. I caught my son saying "ain't" the other day. I asked him where he heard that, and he replied, "Hank." I explained that Hank doesn't necessarily use proper English, and that was the end of that. The Buzzboy and Flyguy books will also have your kids cracking up, especially boys. They aren't a numbered series, but there are about 8 titles following the drama between Buzz and his pet fly, Flyguy. These books are chaptered; however, the chapters are very short, making them the perfect gateway from children's books to chapter books. Kids love to be able to say that they read chapter books! The Buzzboy books are also available in Spanish. 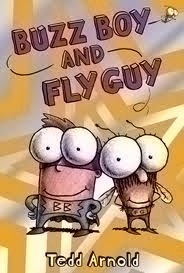 I know my sons would enjoy Buzzboy and Flyguy by Tedd Arnold. We haven't read that particular book yet, but we did enjoy Parts by Tedd Arnold. My son would love Hank and also Buzz Boy and Flyguy. Thanks for the giveaway. Forgot to mention some of my son's favorites are Diary of a Wimpy Kid, and Warriors. Thanks again! When does the giveaway end? I like the Cam Jansen series and all of your favorites! Have you read or seen any of the Fly Guy Presents books? They have a nonfiction theme, but we haven't been able to track any down at the library. I've seen the Fly Guy Presents in the Scholastic Book flyer!